The futuristic duo are dropping major hints. Calling all Daft Punk fans: Don't freak out just yet, but there might be new music and a tour in your future. The inventive and partially robotic duo have all of us scratching our heads after they hit social media with a cryptic new website, simply titled, Alive 2017. While it may not look like much, the speculation is enough to get die-hard Daft Punk fans all riled up. We're not 100-percent sure what it all means yet, but we’ve got you covered with some of our favorite predictions. According to Genius, upon close inspection, there are a string of seemingly random numbers which might represent the coordinates of popular cities such as New York, Paris, and Los Angeles. In addition to this possible tour hint, Reddit users who are experts in reading code, have discovered the line, “WAKE DATE 2016-10-27”, written in the backend of the site. We know, we know, this is a lot coming from the typically silent pair. 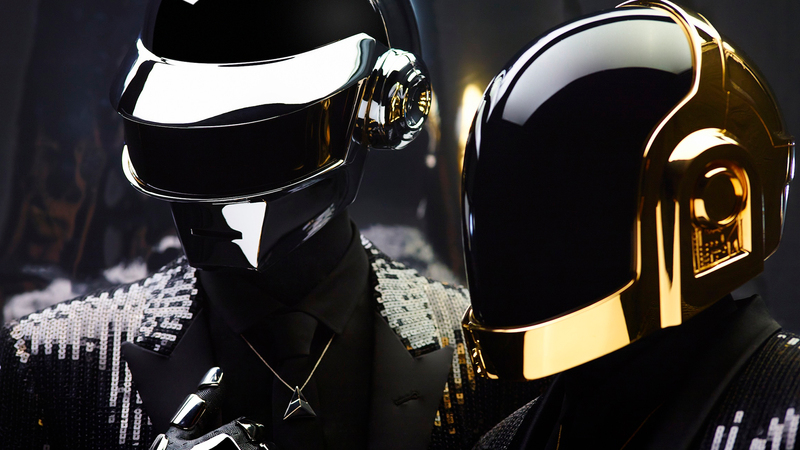 Could this mean a new tour for us Daft Punk aficionados? To sum it up, the duo have only done two other tours in the span of their entire career. Their first tour was the Daftendirektour tour in 1997, and the second was the Alive 2007 tour—so if we’re lucky, a third will be in the cards for 2017 as well (anyone else seeing a ten-year trend, here?). Whether these “hints” turn out to be true or not, we are crossing our fingers that Daft Punk return for another decennial run. Make sure you’re tracking Daft Punk on Bandsintown so you don’t miss them when they come to your city!